Fenerbahce Ulker thumps CSKA by 26! Fenerbahce Ulker Istanbul remained unbeaten, making another statement in a young season by topping CSKA Moscow 86-60 on Thursday night. Fenerbahce improved to 3-0 and is in sole possession of the first place in Group A, while CSKA drops to 2-1 and stays alone in the second place. 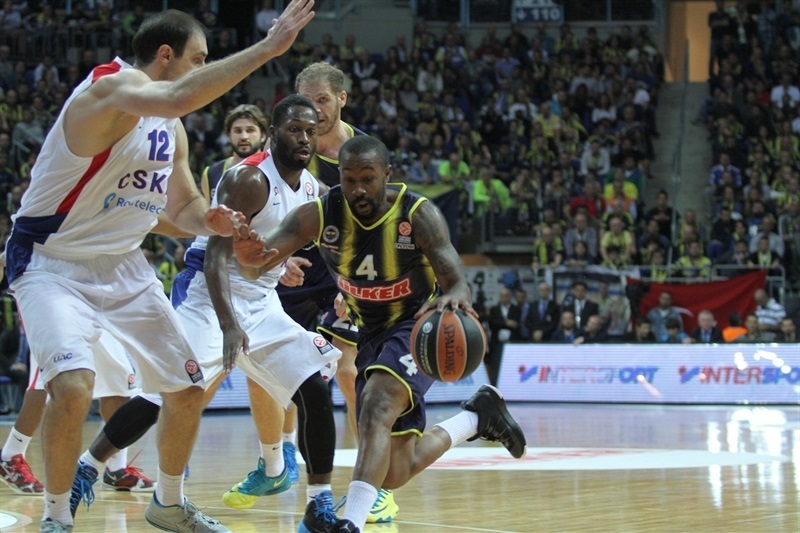 Fener also handed CSKA its worst loss in 16 years! The hosts led from start to finish, opening up a 22-point lead midway through the second quarter. 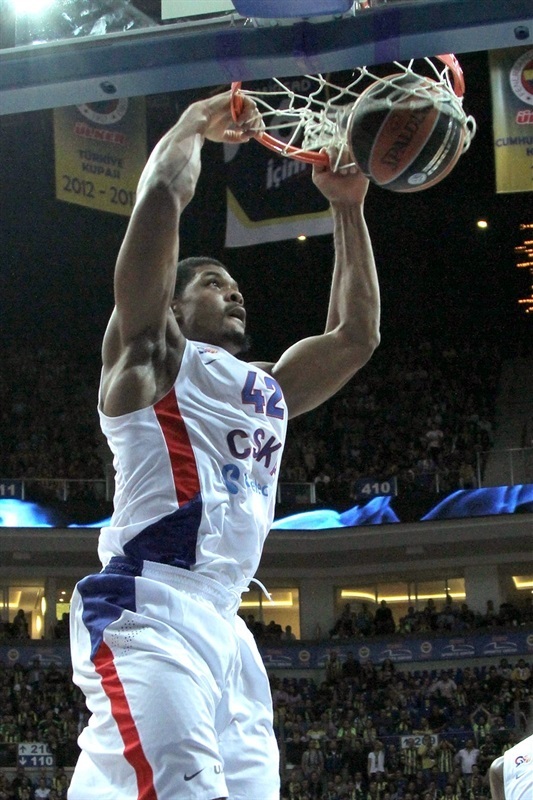 After Kyle Hines and Vladimir Micov helped CSKA rally to within 53-45, the hosts stepped up on defense, pulling away once again to a huge victory. Bojan Bogdanovic paced the winners with 23 points, while Bo McCalebb had 14 points, 5 assists and 4 steals. Emir Preldzic collected 13 points and 5 assists and Linas Kleiza chipped in with 12 points in victory. 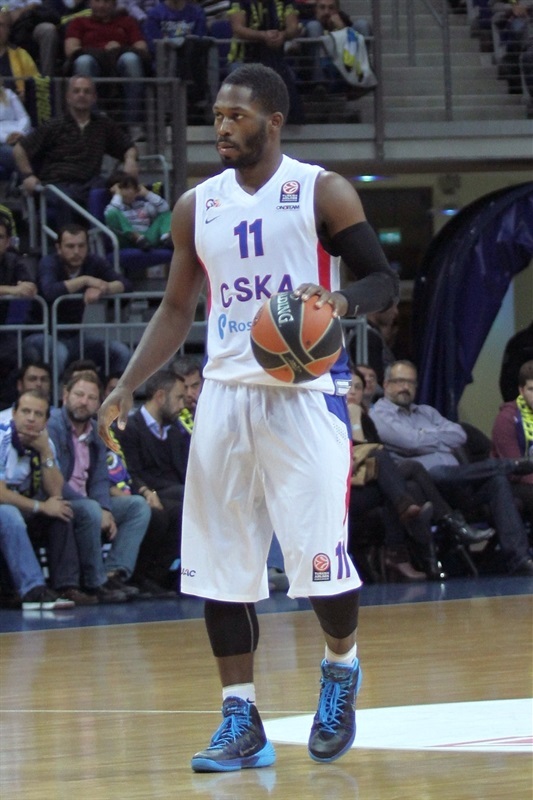 For CSKA, Micov finished with 20 points, while Hines had 17 points plus 8 rebounds. It was a great start to the game for the hosts, as Nemanja Bjelica opened the scoring with a put-back, and Preldzic followed it up with a floater. Micov scored the first points for CSKA from mid-range, but Bjelica made a layup, and Kenan Sipahi drained a triple for a 9-2 advantage after less than three minutes. After a timeout, Weems made a high-arching driving layup, but Vidmar answered with a monster dunk, and Bjelica made a fastbreak layup for 13-4. Defensive intensity on both ends resulted with fastbreak dunks from Hines on one side, and Preldzic on the other. After Nenad Krstic and Luka Zoric traded shots from close range, Hines scored twice inside for 17-12. 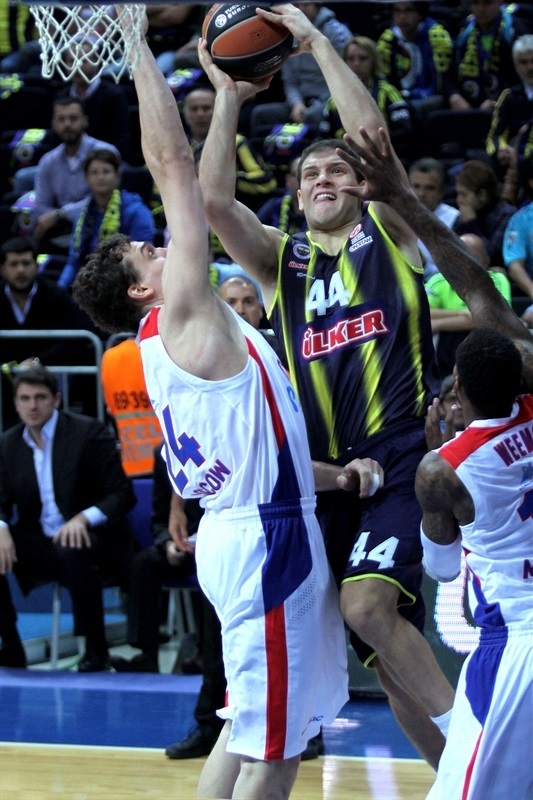 But Fenerbahce was rolling on offense, as Bjelica hit a triple and Zoric scored a lay-in after an assist from Preldzic. Hines got his tally to 10 points with another basket inside for the visitors, but Kleiza hit a shot to beat the buzzer, making it 26-16 after 10 minutes. Kleiza opened the second quarter with a basket-plus-foul, and after Sasha Kaun answered with a layup in traffic for CSKA, the hosts went on another run. Bojan Bogdanovic scored a basket-plus-foul to open his account on the night, and McCalebb raced for back-to-back fastbreak layups, opening up a 36-18 margin. After a CSKA timeout, a couple of quick steals from McCalebb and James Birsen led to fastbreak layups from Bogdanovic, and 40-18. A put-back from Hines snapped an 11-0 run, and after Bogdanovic had a driving layup, the visitors went on a 0-11 run of their own. Aaron Jackson scored a fastbreak layup and, Micov scored from close range, and Victor Khryapa nailed a three-pointer for 42-31. Preldzic snapped the run, but Khryapa finished the quarter with a layup, cutting it to 44-33 at halftime. Bogdanovic hit a triple to start the second half, and Khryapa answered with a layup, continuing his run from the end of the second quarter. 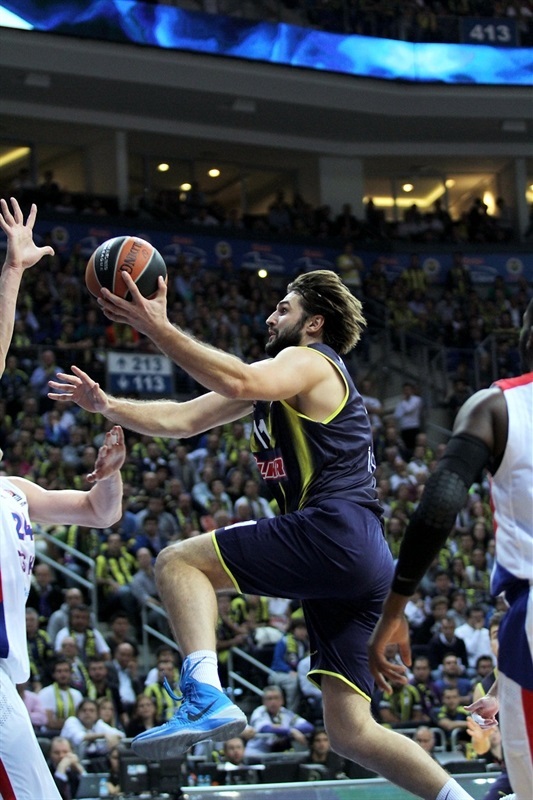 But Vidmar answered with a monster dunk, and Bogdanovic added an easy fastbreak slam for 51-35. After a CSKA timeout, Kaun made a dunk in traffic, and Micov nailed back-to-back triples, helping cut it to 53-45. Bogdanovic snapped the run with a driving layup, Kleiza added a basket, and the hosts did not allow a field goal for the final four and a half minutes of the quarter, extending the lead to 61-47 going into the fourth quarter. McCalebb opened the fourth quarter with a layup-plus foul before Micov hit a baseline jumper, ending the visitors’ long draught from the field. Hines added a basket-plus-foul for 64-52, but the hosts hit 3 of 4 free throws to extend the lead, and Kleiza slashed to the basket for 69-52. Micov hit a jumper, but Kleiza made an acrobatic turnaround shot that put 72-55 on the scoreboard. Micov answered with another triple, but a layup from Bogdanovic and jumper from McCalebb made it 78-58. In the last couple of minutes, Hines scored inside, but Bogdanovic and McCalebb nailed triples in the final 45 seconds to close out the game, making the final margin the biggest of the night. "I want to congratulate my players. They did a great job and they played a great game. 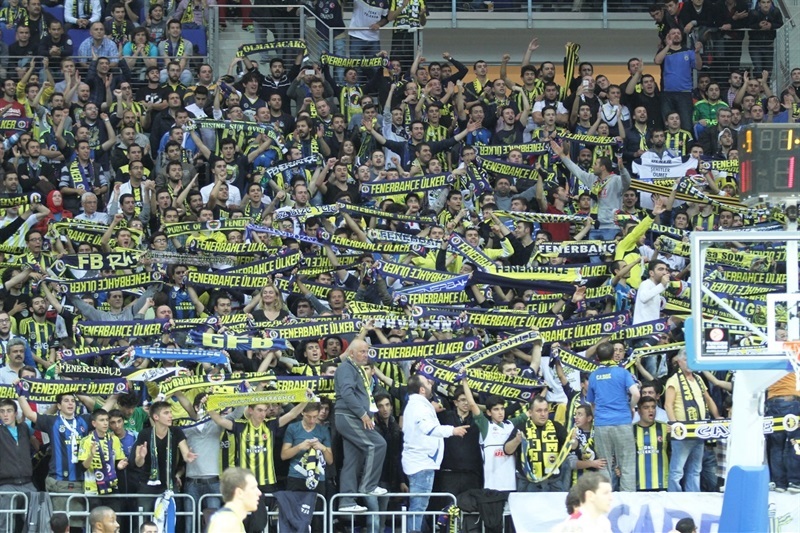 I want to thank our fans, they made an excellent atmosphere, and that is very important for my team. This win is very important for the confidence of my players, last week against Barcelona and now against CSKA, we played two really good games, and now we understand we have quality to fight against everybody. But this is a long journey, we only have three games behind us. We have to stay calm and continue to work like we have worked until now. No one can put more pressure on us than I put on myself. I understand the pressure, I am focused on my job. I ask them only to be ready to give 100% of our possibility. The only goal we have in front of us is the next game." 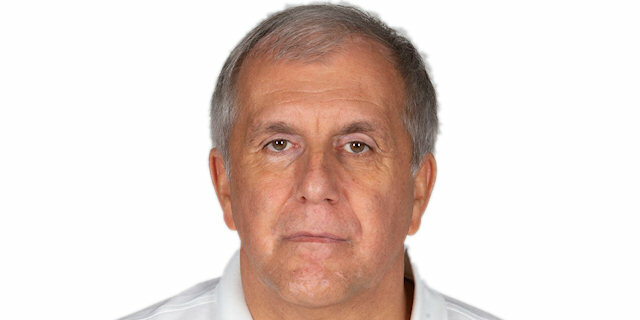 "My congratulations to Fenerbahce Ulker, to coach Obradovic, the players, and the fans. The played an excellent game, they destroyed us. Obviously, I feel the most responsible for this, and the only think I can tell is I will work as hard as possible trying to fix many problems that we have. We did not play intelligent, and I am the first responsible. We showed very little character, and again I am the first responsible. I will try that this does not happen again. We are not a team yet. We are completely out of sink."